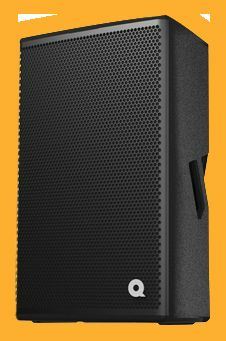 The first speaker to utilise the Hybridtec system is the all-new QM 450A compact powered speaker system designed and built in Melbourne, Australia. The QM450A delivers a full 450W RMS output and uses the same birch plywood timber chassis as the extremely popular QM350i. With a chassis designed to deliver optimal linearity in its passive form, it proved the logical foundation for an active system.